Our generous selection of Beard Oils and Beard Washes provides the bearded gentleman with tools more than equal to the task of grooming. 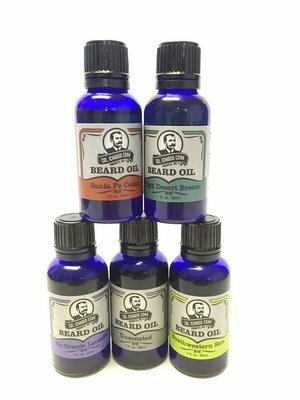 All our natural Beard Oils enable you to tame your beard by adding a mild shine to the facial hair. Beard Oils are also formulated to moisturize your skin. 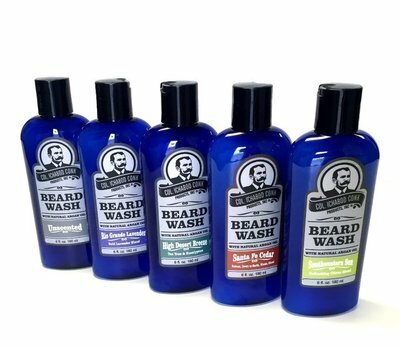 For cleaning, our Beard Washes include a shampoo, conditioner and Argan oil. Argan oil, which is becoming increasingly popular as word spreads, naturally nourishes hair, moisturizing the skin beneath to decrease itchiness and flaking. Argan oil also leaves a brilliant finish that softens hair, giving your beard or mustache a healthy gloss. The all natural Beard Oils and Beard Washes are available in many distinctive contemporary and traditional masculine scents. Looking for accessories like trimming scissors, mustache and beard combs? No problem you'll have find an exceptional selection, as well as handy kits with oils, wash and accessories.